JUMBO STEEL JS-603 Straw group packing machine provides more choices for straw packing to meet your specific needs. Upon request, the machine can pack 50 to 100 pcs straws in a pack-with high effciency. 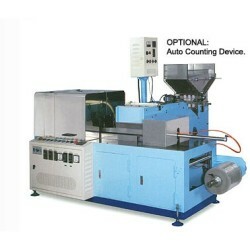 Also, it's available to connect the JS-603 Straw Packing machine to straw making machines or bending machine with a conveyor be a complete production line which results in higher productivity and greater convenience. 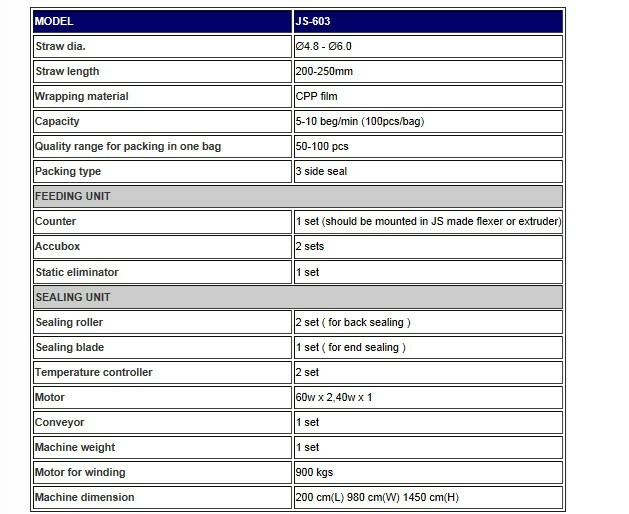 All specifications and design characteristics are subject to change without prior notice.